Villa Radović offers a private accommodation in picturesque town Cavtat. only 18 km from Dubrovnik Old Town and 4 km from Dubrovnik Airport. 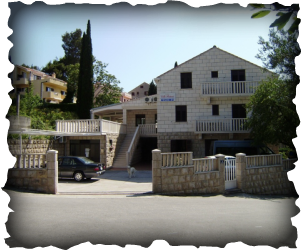 Villa Radović has 10 rooms, 6 of them are with balcony/sea view. All rooms have private bathroom, air condition, TV/SAT and free wireless internet. Towels and bed linen are provided and they are changed regularly. All guests can use big, fully equipped shared kitchen with the terrace and the outdoor BBQ. for exploration of Dubrovnik and beautiful south of Croatia.